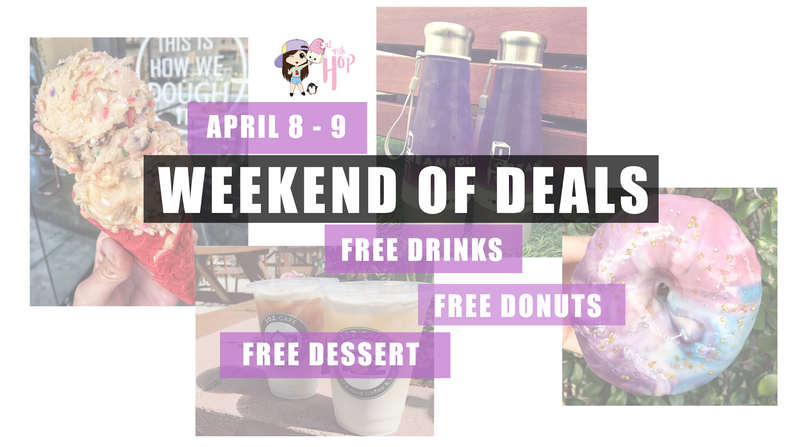 April 8 - 9 | Weekend of Free Drinks, Edible Cookie Dough and Donuts - EAT WITH HOP! Hey everyone! I have been ill for the past few days so I couldn't post the all the deals ahead on time! So instead of putting the deals in separate posts, I decided to compile it into one for this weekend! Here are some deals for y'all to get ready for during the weekend of April 8 - 9 (Saturday - Sunday). AND THERE YOU HAVE IT! THIS WEEKEND IS FULL OF DEALS!